This year 2014, the Winter Olympic games took place on Sochi, a Russian city. The government created a wonderful infrastructure so that the Olympic athletes have the best possible site for their sport events. 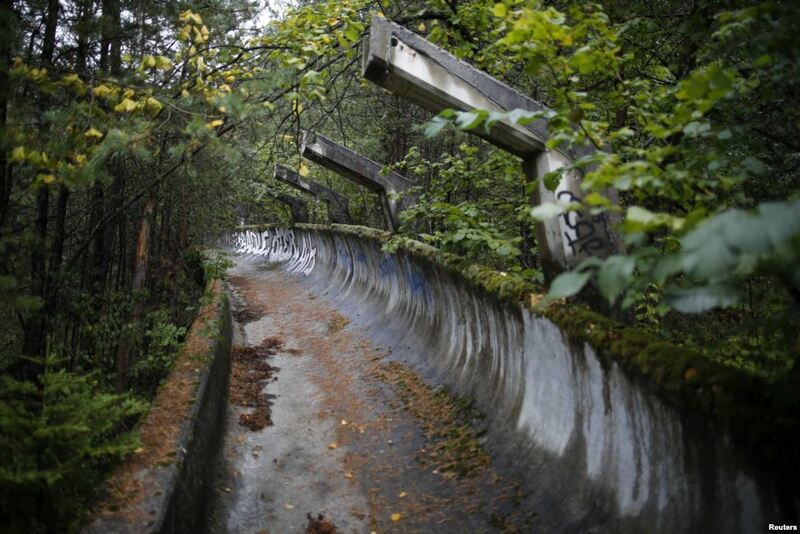 In 1984, the Winter Olympic games took place on Sarajevo, and after the war the site was completely abandoned and forgotten. These are some of the pictures of that abandoned site. It is a shame that such a huge investment is now only ruins. Photos taken by Dado Ruvic, Reuters. This entry was posted in Horror, Pictures and tagged olympic games, sport, winter olympics by Carolina Goodfellow (Google+). Bookmark the permalink.